I have been rather preoccupied with work the last few weeks but with the weather being so glorious right now, I had to post these images. 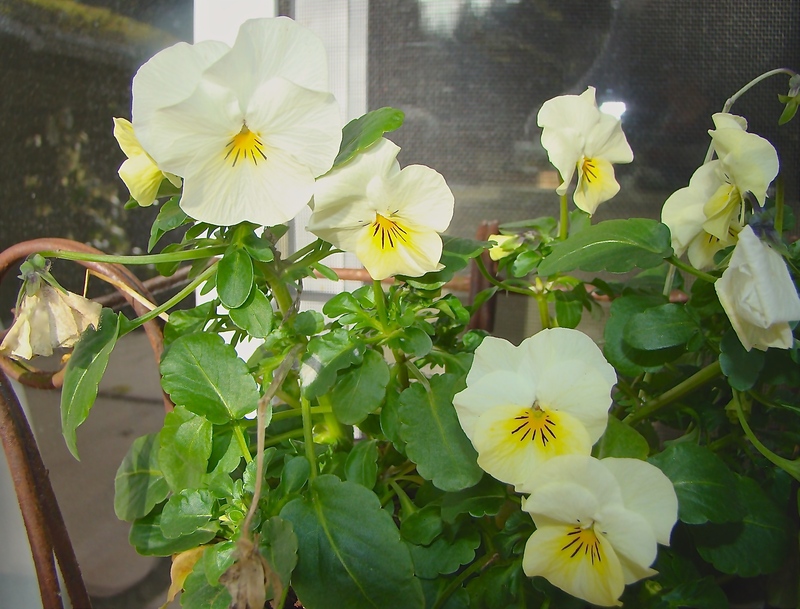 Due to a very mild winter, these cheerful violas have been blooming since mid January. I plant my containers up in the autumn when pansies and violas become available at the nurseries. They bloom for a few weeks and then keep a low profile till late winter or early spring, weather dependant. While not as showy as the big pansies, violas are fragrant. On warmer days, I catch their fragrance when I go in or out the back door – wonderful.